People are concerned about the survival of large mammals like the African elephant (Loxodonta africana) not only because of their charismatic attributes, but because of their important role for humans and nature. The social-ecological and economic significance of the African elephant are well documented, such as here and here. Economically, the African elephant (one of the big five alongside buffalo, lion, leopard and rhino) is of significant importance for consumptive (trophy hunting) and non-consumptive (photographic) tourism. Tourism in most African countries is wildlife-based and contributes greatly to national economies. In Zimbabwe alone, between 1989 and 2006 hunting contributed about 90% of communal areas management programme for indigenous resources (CAMPFIRE) revenue and of that revenue, about 70% was from African elephant hunts. The African elephants’ social significance is rooted in African tradition and cultural heritage, featuring high on the system of African totemic and spiritual philosophy, contributing to both African cohesion, Ubuntu, and species conservation. Throughout Africa, people do not eat the meat of an animal which is an embodiment of their totem, providing protection in areas where people must co-exist with such animals. Despite the ecological and socio-economic values of the African elephant, its population is threatened by habitat loss, human-elephant conflict, illegal hunting and trafficking of ivory. The recent Great Elephant Census (2014) results estimated about 352,300 African savanna elephants in 18 countries, indicating approximately a 30% decline in the past seven years. However, some countries in Southern Africa have had stable and/or increasing population trends. Zimbabwe has the second largest African elephant population in Africa (82,000) after Botswana (130,000). 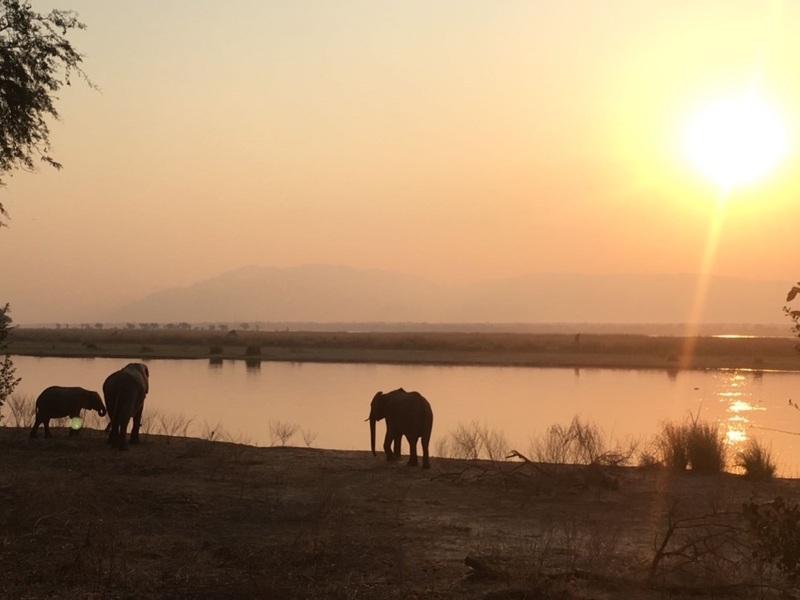 The sustenance of the African elephant population in Zimbabwe could be attributed to the benefits local communities and landholders derive from having wildlife on their properties making it possible for people to co-exist with wildlife. Our research has focused on the drivers and nature of illegal hunting (poaching), and determinants of sustainable wildlife conservation in human dominated landscapes, with a particular focus on Gonarezhou and Hwange National Parks and adjacent areas, Zimbabwe. This research has revealed that in communities with disgruntled local people because of diminishing or no wildlife benefits and characterised by high poverty levels, there is generally a noticeable increase in wildlife crimes associated with diversified illegal hunting methods (including the use of firearms, snaring, poisons e.g., cyanide, which not only have negative impacts on target species, but also others such as vultures and carnivores). Hence, our findings point to the importance of ensuring greater involvement of local communities in wildlife management decision-making processes and diversification of benefits attributed to wildlife to ensure the species’ survival (particularly that of the African elephant). Given the sophistication of illegal hunting methods and increasing global demand of ivory, it is essential that adaptable and robust law enforcement efforts to protect this iconic species is developed in partnership and through collaborative arrangements with local communities and landholders. These findings are in line with recent work, in Africa and beyond, which conceptualises local communities as the First Line of Defense (FLoD) against the illegal wildlife trade. 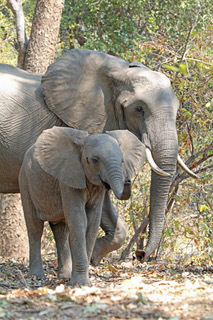 The recent CAMPFIRE review, carried out between 2016 and 2018 by the Government of Zimbabwe in conjunction with the European Union, has provided an opportunity to strengthen community involvement in wildlife management with the African elephant as a focus in terms of trophy hunting and photographic tourism. Emergence of robust conservation actions at the community level and associated management models are essential to ensure the habitat range of the African elephant is extended beyond the protected areas and to local communities living with wildlife so as to enhance benefits from the species conservation, and create harmonious conservation relationships among stakeholders across communal, state and private lands. African elephant conservation is riddled with conflicts especially regarding its conservation outside designated protected areas. These conflicts mostly arise as a result of differing views on the management choices and decisions about its conservation. For instance, some stakeholders are against trophy hunting and trade as a conservation tool while others support trophy hunting. The controversies surrounding the management have implications for wildlife policies. For instance, the continued existence of wildlife outside protected areas is possible when benefits to local communities outweigh costs and in areas where photographic tourism is not viable, trophy hunting potentially provides the much-needed benefits. Hence, the importance of broadening options of sustainable resource use and the necessity of decision-makers at different levels to make well-informed policy decisions that meet both ecological and socio-economic interests in situations where there are competing claims on wildlife resources. Such policies should be case specific as no one policy is a fit for all situations. Thus, providing scientific evidence for decision-makers through robust research related to African elephant conservation options across the diverse landscapes is essential.